Part I: The Normed Case. Part II: The Locally Convex Case. 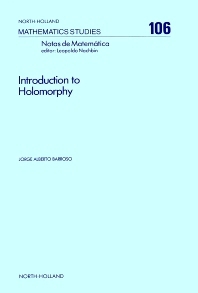 This book presents a set of basic properties of holomorphic mappings between complex normed spaces and between complex locally convex spaces. These properties have already achieved an almost definitive form and should be known to all those interested in the study of infinite dimensional Holomorphy and its applications. The author also makes incursions'' into the study of the topological properties of the spaces of holomorphic mappings between spaces of infinite dimension. An attempt is then made to show some of the several topologies that can naturally be considered in these spaces. Infinite dimensional Holomorphy appears as a theory rich in fascinating problems and rich in applications to other branches of Mathematics and Mathematical Physics.